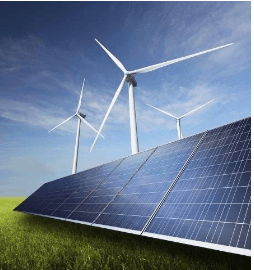 Saving up excess solar and wind energy for times when the sun is down or the air is still requires a storage device. Batteries get the most attention as a promising solution although pumped hydroelectric storage is currently used most often. Now researchers reporting in ACS’ Journal of Physical Chemistry C are advancing another potential approach using sugar alcohols — an abundant waste product of the food industry — mixed with carbon nanotubes. Electricity generation from renewables has grown steadily over recent years, and the U.S. Energy Information Administration (EIA) expects this rise to continue. To keep up with this expansion, use of battery and flywheel energy storage has increased in the past five years, according to the EIA. These technologies take advantage of chemical and mechanical energy. But storing energy as heat is another feasible option. Some scientists have been exploring sugar alcohols as a possible material for making thermal storage work, but this direction has some limitations. Huaichen Zhang, Silvia V. Nedea and colleagues wanted to investigate how mixing carbon nanotubes with sugar alcohols might affect their energy storage properties. The researchers analyzed what happened when carbon nanotubes of varying sizes were mixed with two types of sugar alcohols — erythritol and xylitol, both naturally occurring compounds in foods. Their findings showed that with one exception, heat transfer within a mixture decreased as the nanotube diameter decreased. They also found that in general, higher density combinations led to better heat transfer. The researchers say these new insights could assist in the future design of sugar alcohol-based energy storage systems.